A rewarding descent. Love the smiles. 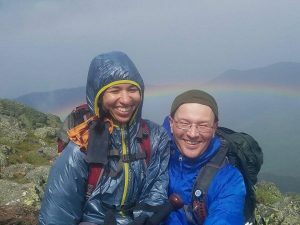 Seems like it was just yesterday (it was) when Redline Guide Ken Hodges brought a returning couple on a guided hike of Mt Washington. 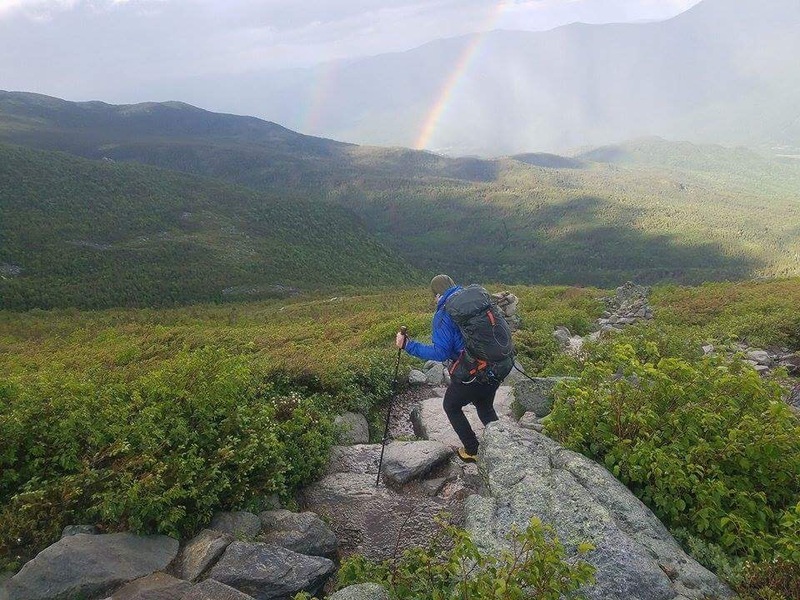 To maximize the hike by decreasing crowds and getting them above treeline more quickly — giving them a fuller, richer experience — Ken chose the Boott Spur Trail with the descent being via the Lion Head Trail later. It was warm and sunny in the valley and in the notches, but like it is often times, conditions were wilder up on the shoulders and head of George. The Rock Pile offered a mixed bag, weather wise, but also offered some fine rewards as can be seen in some of the photos Ken took (inset and below). In addition to the photos, Ken also offered this commentary. 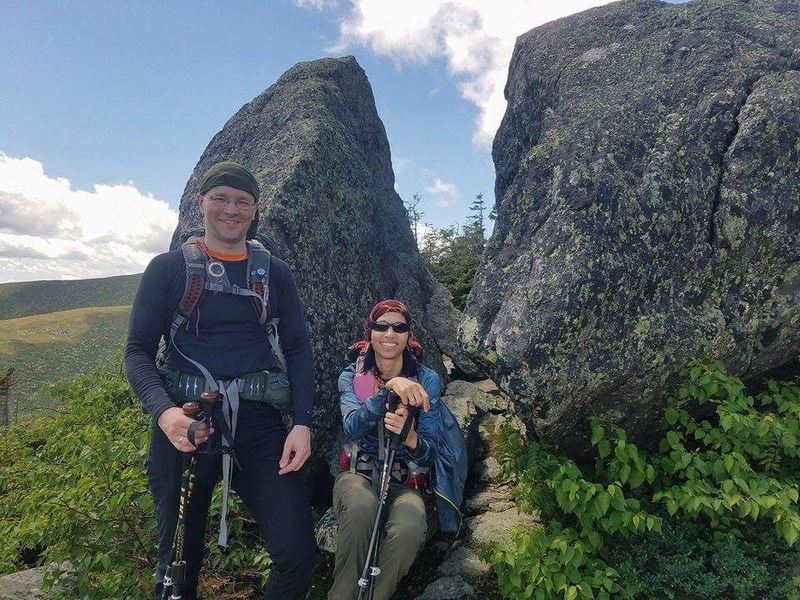 Stopping at “Split Rock” on the way up still well below the summit shroud. 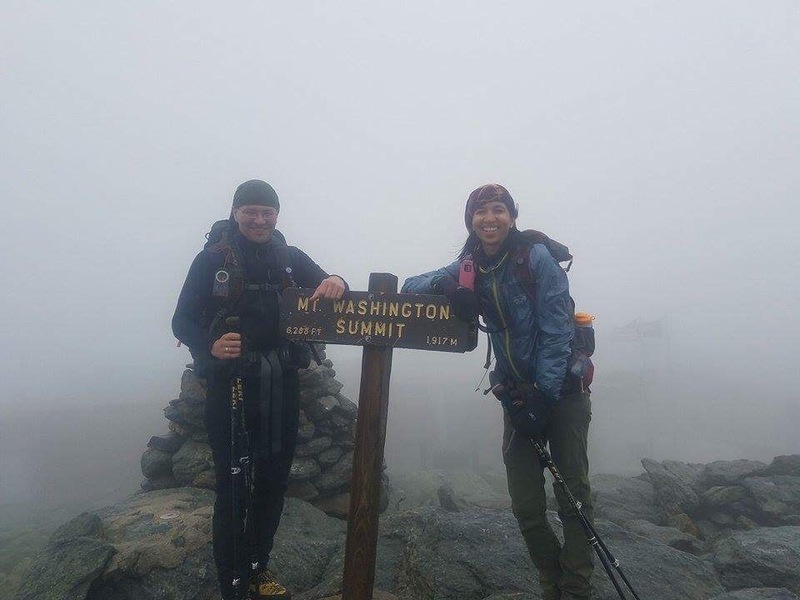 Summited in gnarly conditions! Congratulations Vladimir and Mariel. 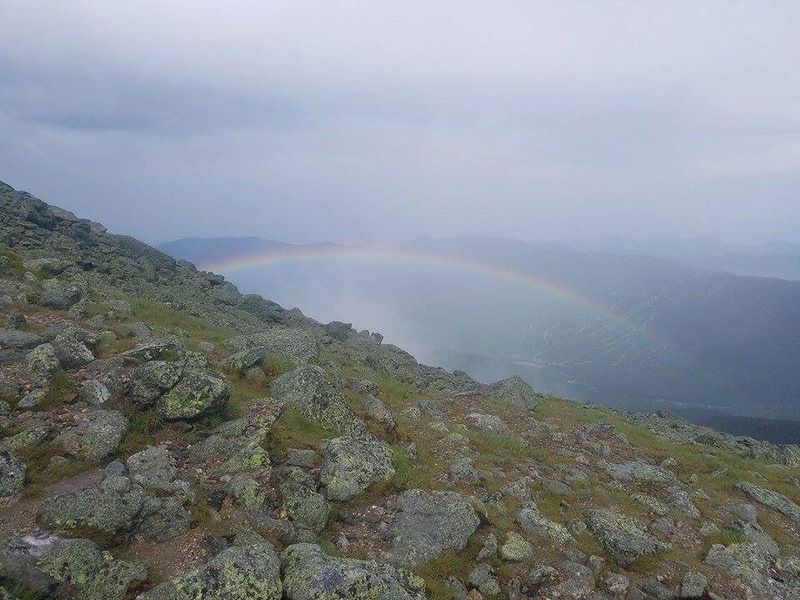 A rainbow arcs across the valley below. Beautiful. Descending the Lion Head Trail. Congratulations to Vladimir and Mariel on your successful summit, and to Ken for leading and a job well done!